This tour is extreme in the sense that it requires lengthy hikes, good climbing ability, and a push to conquer your fear of heights. Not suitable for persons with back or leg injuries or other physical disabilities, fear of heights, or pregnant women. Getting There: We’ll start off with a pickup at your hotel or in San Ignacio Town at 8:00AM. We then start off on a 40 minutes’ drive on the George Price highway until reaching the junction of the Humming Bird Highway. This is the highway leading to southern Belize and passing by the newly relocated capital city of Belize, Belmopan City. The journey on the Humming Bird Highway is another 15 minutes to the check-in station. After check-in, we will board a bus which will take us along with any other persons who’ve signed up for this tour on a 10 minute’s ride into a location within an orchard where our hike trail begins. At the Site: At the start of the trail, we all group together as the guide briefs us on safety procedures for walking through the jungle. 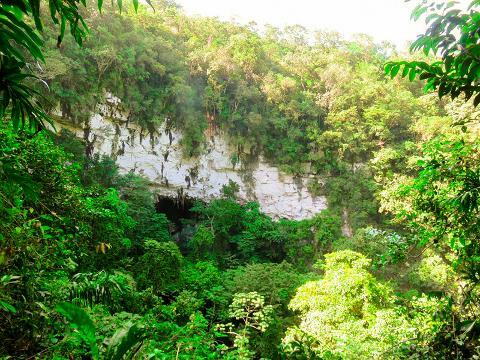 The hike itself is about 45 minutes long as we trek into the rainforest to the upper rim of an enormous natural limestone sinkhole. Along the way, we get to see howler monkeys as well as the rich flora and fauna of this location. Upon arriving at the rim of the sinkhole we all settle down as the guide gives us further safety procedure briefing on Rappelling. This is a 300 foot drop from the rim of the sinkhole. 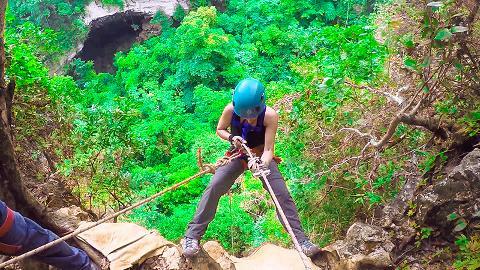 Each person rappels individually down to the bottom. The excitement builds up on you as your turn draws closer. When you’re finally at the rim with your harness on, that’s the moment of truth. 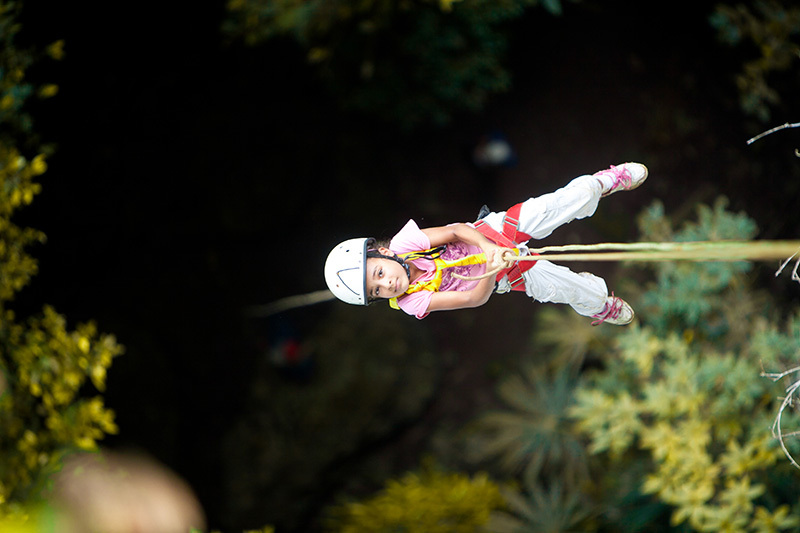 There’s no turning back, that’s the beauty of this thrillful adventure. 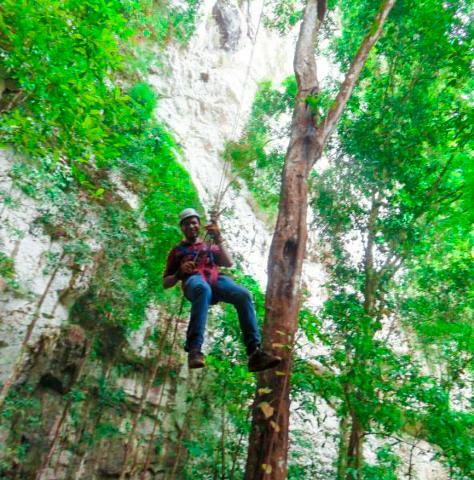 The first 10 feet provide the adrenaline to help you sink it in, the next 200 feet provides an exhilarating experience and sights to behold above the jungle canopy, the last 100 feet takes you down through the canopy until setting feet back on firm ground and feeling like a champion at the applaud and cheer of the rest of your companions. After reaching the bottom, we will all settle down for a delightful picnic-style lunch. From there we start off on our hike back out of the sinkhole. 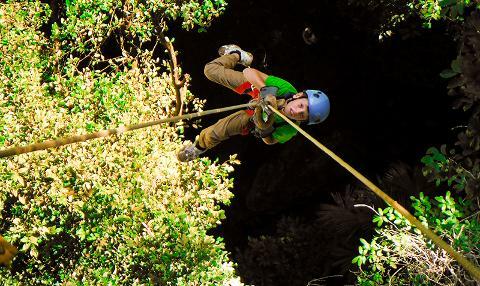 This is another adventure on its own as it entails climbing up the steep side of the sinkhole on precarious ledges and ladders – a real Indiana jones adventure. 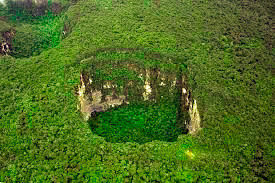 Once out of the sinkhole, the rest is another hike through the jungle until reemerging at the orchard where our bus is stationed. Departing: After boarding our bus, we make it back onto the check-in station where we say our goodbyes to the rest of our crew and then board our vehicle as we start off our journey back into San Ignacio Town, arriving around 4:00 - 5:00PM (depending on your or the group's pace). What to Bring: Solid Hiking shoes, light comfortable clothing (preferably long sleeves and trousers to minimize mosquito bites), bug repellent, hat, action camera. Provided: Helmets, gloves, harness, lunch, water.